Study Bachelor of Laws (Honours), Bachelor of Psychological Science at the University of South Australia (UniSA). Information for International students. Ranked in the top 100 in the world for Law2 and No.1 in South Australia for graduate careers in psychology3. Learn from world-class researchers in psychological science, as well as researchers who are recognised as above world standard in Law4. Gain a well-respected qualification accredited by the Australian Psychology Accreditation Council. 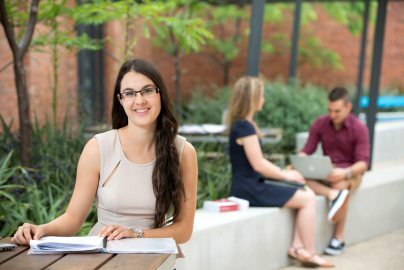 Top 10 in Australia for Psychology5. 12019 THE Subject Rankings. 2Ranked #81, 2019 THE Subject Rankings. 3QILT: Graduate Outcomes Survey Course Experience Questionnaire 2016-18 – Full-time Employment Indicator (Undergraduate and Postgraduate). Public SA-founded universities only. 42015 Excellence in Research for Australia (ERA). 5 2019 THE Subject Rankings. Gain a competitive edge by combining law with psychological science, and graduate with two degrees in just five years. 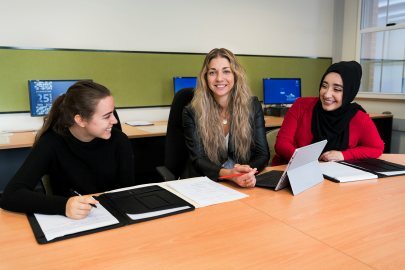 You will graduate with professional honours, an advanced understanding of legal principles of Australian law and the latest legal concepts in psychological science. This legal expertise, combined with the knowledge and skills you’ll gain from your specialisation, will set you on track for a leadership career. In your psychological science studies you will develop an in-depth understanding of human behaviour, social interactions and why people think the way they do. Courses are taught by world-class researchers in the field of psychological science – in fact, the curriculum is informed by the research of our academics. This degree is made up of 40 courses. You will do 24 courses in law and 16 courses in psychological science. In your psychological science studies, you will develop a strong theoretical knowledge in the field as well as practical skills such as problem solving, planning, judgement and decision-making. 1. 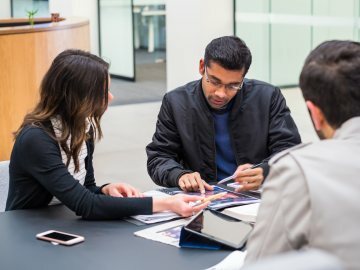 The Laws Double Degree (Honours) comprises 40 courses totaling 180 units and includes: 24 courses from the Bachelor of Laws program; and 16 courses from the Bachelor of Psychological Science Degree. 2. Electives 1-4 may be selected from any courses offered in the University subject to any prerequisite requirements. See undergraduate elective courses - http://study.unisa.edu.au/electives. Students may use their Electives to build a Minor in another discipline. See Majors/ Submajors/Minors at http://study.unisa.edu.au/msm. Students may use Electives 3 and 4 to take additional Specialist Psychology Courses subject to prerequisite requirements. 3. In addition to completion of the core courses, students must complete one (nine units) of the level 8 capstone courses. 2. Students planning to undertake Honours in Psychology, either at UniSA or at another Australian university must successfully complete the Specialist Psychology Courses BEHL 3005 Advanced Research Methods and BEHL 4003 Psychological Assessment. Your psychological science studies will give you an accredited qualification from a university ranked in the World Top 200 by QS Subject Rankings 2016/17. Our Business Career Mentor Program pairs you with an experienced legal professional, helping you to build your network and career. The six-month program runs from March every year. You can also consider other legal careers such as lawyer, judge's associate, in-house counsel and more. "I was intrigued by how practical the law degree was. In almost every subject there was a public speaking component. Not only has my degree provided me with the requisite knowledge I need to enter into the legal profession, I have also been able to improve my advocacy skills to be able to apply this knowledge. 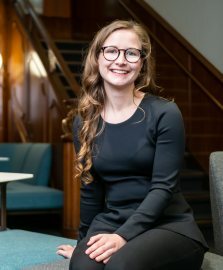 I aspire to practice in the area of Family Law, and I also consider having a background in Psychological Science being an advantage to help me better assist clients in the future." I knew that I wanted to pursue a career in law but I think having an additional degree is a way to differentiate yourself from other law graduates. It also provides flexibility if you decide to change your mind about the career path you want to take. I’ve developed strong advocacy and research skills in my law degree. I believe these skills, in combination with my psychology degree, will enable me to consult with clients and find solutions for them.